If your AdWords account is being managed properly you will already be implementing conversion tracking in your campaigns. However, just in case you happen to be one of the millions who are running their own Adwords campaigns, and not quite sure what we mean by conversion tracking, let alone offline conversions, then I will attempt to bring you up to speed. While Click Through Rate (CTR) and Cost Per Click (CPC) are important, they are only measuring what goes on within Adwords and are not considering what is going on in your website. So if you are optimising your campaigns purely on CTR and CPC, and not measuring conversions, then you are only doing half the job and in fact are flying blind. Before we come onto offline conversions, let’s look at conversion tracking in general. Conversion tracking is where, by having a piece of tracking code on your website, you can track when people take certain actions on your website that you deem important, e.g. submitting a contact form, purchasing an item, or even phoning you via the number shown. When this action has been registered it is fed back into Adwords where it is counted as a “Conversion”. You can then track which Google ad and keyword was used by someone who carried out this specific important action and how much it cost. While conversion tracking is important for measuring the effectiveness of your landing page or online shopping process, it may also be an important indicator of the effectiveness of the setup of your Google AdWords campaign itself. For example, if you were split testing two Ads, you may find a situation where the first Ad has a higher Click Through Rate and lower Cost Per Click than the second Ad, however, the second Ad has a higher Conversion Rate and lower Cost Per Conversion. If you were not actually tracking conversions through AdWords you may assume that it is the first Ad with the higher Click Through Rate that was the most productive for you and you may pause and then change the second Ad. The result could be that, while you maintain a higher CTR, you have just inadvertently killed off the most productive Ad for conversions. 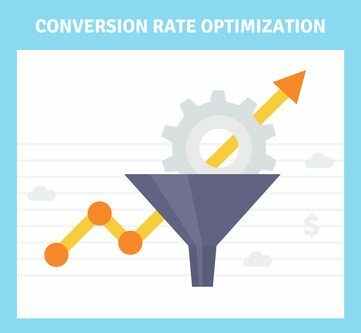 The whole point of conversion optimisation is to allow you to continually monitor, evaluate and adjust your AdWords campaigns AND landing pages to provide the highest Conversion Rate and lowest Cost Per Conversion. What I described above is what could be more accurately called online conversion tracking, and if you are doing this then I can assure you that you are already ahead of most AdWords users, and if you are an online shop you could stop right there. However, if your website is more a lead generation site, then your job is still not finished as you still need to take the leads (conversions) received and turn them into paying customers. Let’s face it, it is these people who you actually turn into paying customers that are the TRUE conversions. However, once someone has contacted you from the website, the link between that person and the AdWords campaign is broken and goes offline because you carry on the process either via email, phone or even face to face. In order to close the final part of the optimisation loop, you need a way of feeding these offline conversions back into AdWords. The way to do this is with a good CRM (Customer Relationship Management) software and a call tracking service. By integrating certain CRM software, prospect data can be collected from the contact form on your website and fed automatically into the CRM. By using a CRM that also integrates with Adwords, the AdWords data associated with that lead is also seen in the new contact information, e.g. which Ad they clicked, what keyword they used. Most importantly though is that when you close a sale with that customer offline you can enter that into the customer’s CRM details which will then feed that true conversion back into Adwords. You can also put a value on that sale and feed that back into AdWords to allow for further optimisation of your campaigns based on the true Return On Ad Spend (ROAS). By using a paid call tracking service such as InfinityCloud you can link data in your CRM to phone call leads that came via AdWords. For example, when a prospect first calls you after seeing your Google Ad and visiting your website, InfinityCloud can announce, via the phone, to the person taking the call, a unique caller ID reference. By integrating the call tracking ID with the CRM, all the Adwords data collected through the call tracking service can be presented with the rest of the prospect details. And most importantly, when you finally close the sale and enter a sale value, that can also be fed back into AdWords to provide optimisation based on ROAS. So by doing all this, even if you don’t close a sale for weeks after the initial contact, you can still push this data back into AdWords. The result is that you don’t just see the number of potential leads, i.e. online conversions, now in AdWords, but actual true conversions along with sales data. This will allow you to see which campaigns, ads, and keywords are the most cost effective, or perhaps not so cost effective, and allow you to optimise your campaigns, including your bidding, more effectively. If you need advice and assistance in setting up conversion tracking or any other Adwords and landing page help then please get in touch.